American Academy of Anti-Aging Medicine or A4M for short is the premier organization for the promotion of antiaging medicine. The A4M certifies both antiaging doctors and anti-aging clinics. Antiaging medicine has many critics and doubters who question whether the claims of effective antiaging treatments are valid or fraudulent. 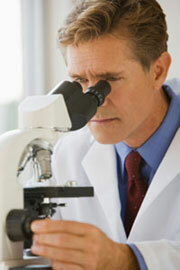 They also question whether antiaging doctors are valid medical professionals of high standard. Enter A4M! 18 years ago, two osteopathic physicians Robert Goldman and Ronald Klatz created an organization to address these issues. This organization was called American Academy of Anti-Aging Medicine. 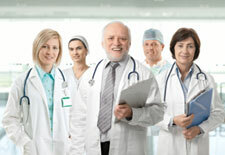 The A4M was founded in 1993 to organize and promote the brand new field of antaging medicine. Their membership has grown to 20,000 members from 100 countries. "Anti-aging medicine is a clinical specialty is founded on the application of advanced scientific and medical technologies for the early detection, prevention, treatment, and reversal of age-related dysfunction, disorders, and diseases. It is a healthcare model promoting innovative science and research to prolong the healthy lifespan in humans. The founders of the A4M understood that the field of antiaging medicine needed an organization that would help standardize and promote antiaging medical practice in the United States and all over the world. This organization would bring both accountability and respectability to the field, and encourage more doctors to explore antiaging as a viable medical practice. A4M with its certifications, fellowships, conferences, and continuing education provides a framework for the continued growth, development, and evolution of antiaging medicine and its growing ranks of antiaging medical practitioners. I believe that we all owe a debt of gratitude to Dr. Robert Goldman and Dr. Ronald Klatz for taking on the challenge of creating a unifying organization to promote antiaging medicine and advance the clinical application of antiaging therapies. All new ideas are challenged, feared, and resisted before they are finally embraced. We are fortunate to have an organization that has championed the cause of antiaging medicine and it's vanguard of innovative and energetic practitioners. The future of antiaging medicine promises to be one of continued discovery and innovation, thanks to the American Academy of Anti-Aging Medicine.